The Open URL Plugin launches a specific URL as part of a process flow. The site can be launched in a new window and can reference remote or internal URLs. 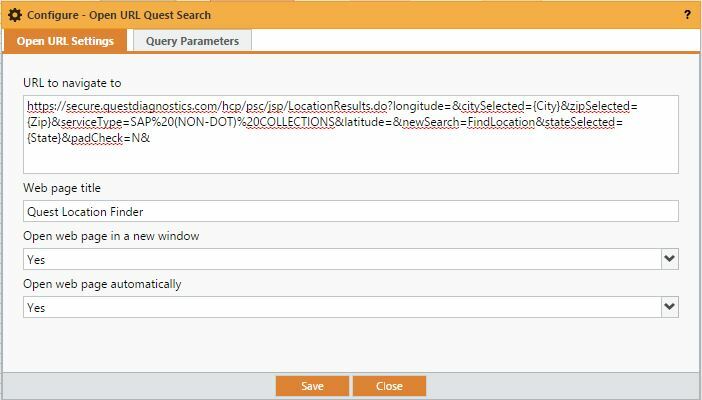 In addition, data from the request can be passed using parameters. To configure the Open URL plugin select it from the Task options and drag it into your process canvas. URL to navigate to: The website address, including "http://" if applicable, that you wish to open. Web page title: The name, or appropriate description, you want users to see as the process triggers the URL to open. 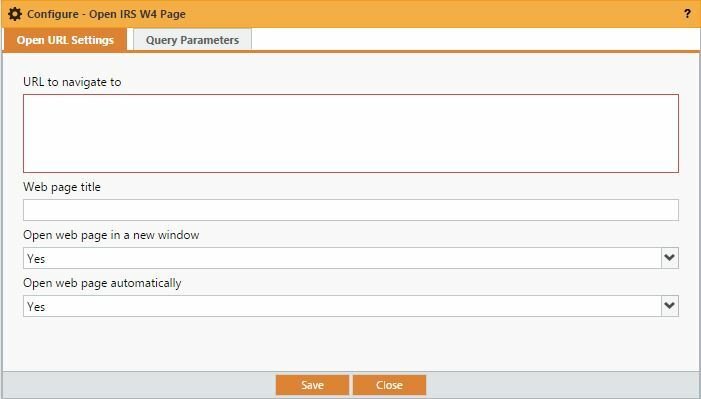 Open web page in a new window - This will force open a new tab or window within your browser and preserve the request in the current one. Open web page automatically - Selecting "No" here will prompt the user to open the site rather than do it automatically. 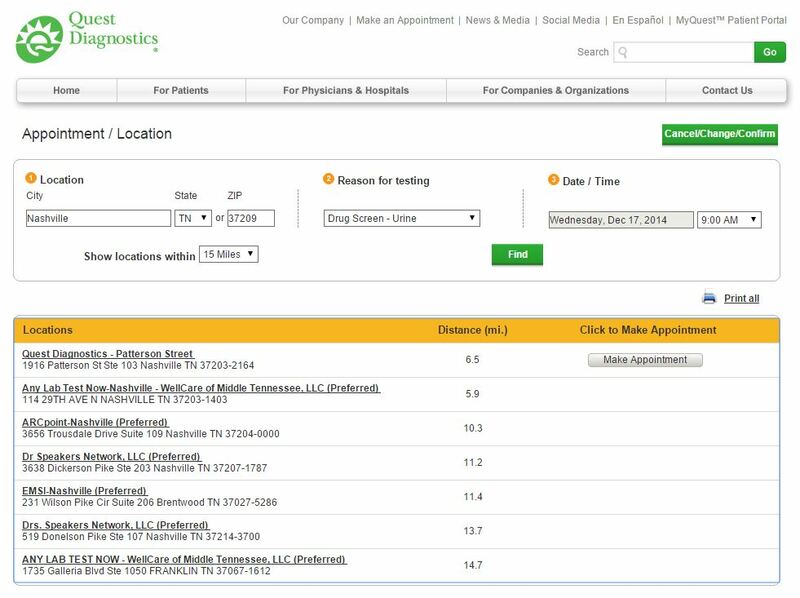 Our training example is an Employee On-boarding Site where drug testing through a specific organization is required. 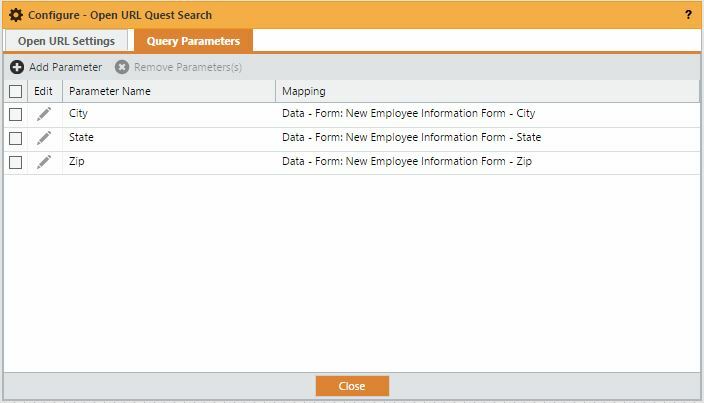 At the onset of the request the user will enter their Address information as part of a "New Employee Information Form." The system will then open the testing company's location directory in a new tab and pass the city, state and zip code of the new employee to the site so that locations will be shown sorted by proximity. Note: Each site you interact with will have different mapping and parameter - please consult their developer's notes or other documentation for parameter information.